The internet is a strange and complex thing. Wherever I am in cyberspace, or wherever I could potentially be, I’m always virtually connected to any, and every, other point in cyberspace. All I need to do is enter a URL into my search bar or embed another URL into my website and a new connection is made amongst the billions of other connections already present. Any individual page on the modern internet is only a few clicks away from any other page. The structure of the internet is inherently non-linear. In their magnum opus, A Thousand Plateuas, Gilles Deleuze and Felix Guattari painted a vast, non-linear, decentralised portrait of knowledge that would form the basis, and the underlying (anti-)structure of the book. They termed this ‘The Rhizome’. I aim to show how Deleuze and Guattari’s insights in the first chapter ofA Thousand Plateaus (ATP) laid the groundwork for a whole new world view, one which is being actualised by the modern internet and the World Wide Web. The idea of the rhizome is a structural metaphor taken from biological field of botany. It describes an underground mass of continuously growing horizontal stems or roots which extend lateral shoots at certain intervals in order to grow and establish connections with other shoots. There is no hierarchical structure to the growth of the rhizome. It doesn’t function in the same way as an arborescent ‘genealogy tree’ for example, where each point can only be connected along a strict, one directional, vertical line. A normal non-rhizomatic root grows down into the earth, dovetailing and forking from it’s initial base trunk; none of the points at the bottom will reconnect to the top other than through a one directional, vertical tracing. Another key interesting fact about the botanical rhizome itself is that once a rhizomatic plant is separated into multiple pieces, each singular piece may itself be able to give rise to a new plant: ‘A rhizome as subterranean stem is absolutely different from roots and radicles. Bulbs and tubers are rhizomes. Plants with roots or radicles may be rhizomorphic in other respects altogether’ (ATP, 6). Rhizomes are not individual ‘radicles’ connecting together, they are essentially multiplicities connecting to other multiplicities; collections of fibers connecting to other collections of fibers. However, as Deleuze and Guattari state a few pages on from here, ‘Perhaps one of the most important characteristics of the rhizome is that it always has multiple entryways.’ (ATP, 12). In other words, the rhizome is not limited to a certain space, it is constantly growing, adapting, forming new connections with a variety of different multiplicities. It does not stem from one individual entrance i.e. some glorified ‘Doorway of Knowledge’, it exists precisely as a result of multiple entrances, multiple contributors, and an innumerable number of contributions. Here we can start to see how the Web could be seen as one of the worlds most glaring actualisations of rhizomatic knowledge. The internet is in fact inherently rhizomatic in structure: it contains many different nodes that have shoots and connections to a seemingly infinite number of other nodes. Nodes can be be thought of as the pages of the web, or the links of hyper text. In the rhizome, and in the internet, there is no central structure but an infinite number of interlocking nodes, many of which are produced from a bottom up, grass roots system that allows for each individual to have a have a voice. Knowledge becomes saturated, but in doing so becomes democratic, or even anarchistic in nature. When D+G state that the rhizome can be ‘shattered at a given spot’ they are essentially arguing that it cannot be destroyed merely by destroying one of it’s nodes, a process we can see plainly within the workings of the internet. The internet is run by a collection of different nodes and servers that exist in multiple different spatial locations across the globe, all of which are constantly interlinking together and constantly forming new connections between one another, but not one of them is the central node. For example, imagine some system of control decides to shutdown wordpress, or reddit, for whatever reason, each user of these platforms will simply create another similar platform (or rebuild the previous one) and continue to create rhizomatic connections. The communities will not be destroyed, merely displaced. Think about the pieces of ginger above, take out the ginger root and put the two pieces back in the ground, before you know it a multiplicity of different shoots will have shot out from every possible angle until they entangle with one another again. Indeed, if we look at Umberto Eco’s semiotic analysis of the ‘Labyrinth’ as a ‘net’ we can see how even in our naming of the internet as ‘The Net’ or ‘The Web’ we are implying, by definition, a structure in which ‘every other point can be connected with every other point, and, where the connections are not yet designed, they are, however conceivable and designable’ (Eco, 81). 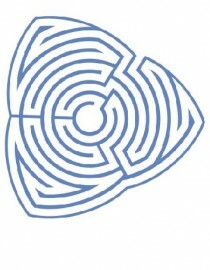 This idea of the labyrinth as a net, which was heavily influenced by Jorge Luis Borges’ stories The Garden of Forking Paths and The Library of Babel, was also directly influenced by ‘the vegetable metaphor of the rhizome suggested by Deleuze and Guattari’ (Eco, 81). As we can see, Eco’s comparison of the Labyrinth to a rhizomatic net highlights the inherent rhizomatic nature of the internet from yet another standpoint. Deleuze and Guattari’s vision of decentralised knowledge has become ever more clear through the expansion and adoption of the internet across much of the first world. Their illuminating insights are seemingly becoming ever more relevant to philosophy, technology, politics, literature and science. We can see the rhizome all across nature, from the synaptic connections between our neurons, to the pheromones produced by ants in order to construct an ant hill. However, perhaps most importantly, the rhizomatic structure of the web allows for a level of democratic, political and intellectual involvement that has never been seen before; it is pushing us into a new era of decentralised knowledge. Deleuze and Guattari, who both died in the early 90s, would have surely been fascinated to see the implications and practical applications of their philosophical (anti-)system in modern life. I think an important aspect (which is also covered by the rhizome metaphor) is that the web as well as our knowledge are continously changing and developing. Agreed. Think I mentioned briefly: ‘it will continue to expand from an acentered singular point through which it can multiply and form new connections.’ I think almost all of the metaphor applies directly to the web, that’s why it’s such a shame that both of them died before seeing how much it’s affected our world. Reblogged this on Looking Forward. I am fascinated with the concept of Rhizome…. it has no beginning, no end; it is always in the middle, between things, inter-being, inter-connecting with self and everything around… Enjoy! The concept of the web as the rhizome is challenged in the absence of net neutrality. Under these conditions there exists the presence of hierarchical, centralized structures, which are not necessarily compatible with rhizome theory..
Yeah it is. I would argue that the internet in actuality is not completely rhizomatic although it clearly contains some of the best examples of the change in priority from arborescent knowledge structures to rhizomatic fomrations of knowledge. As D+G say, there are knots and roots within the rhizome.